Concept in Quantum theory (QT) has been successfully inspired analogous concepts in the field of Information Retrieval (IR). 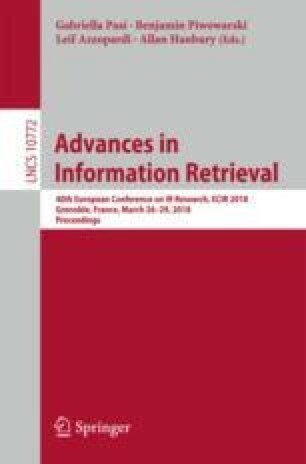 Many IR researchers have employed the QT to investigate cognitive phenomena within user behaviors, and also have verified the existence of quantum-like phenomena in real web search. However, for some complex search task, in which user’s information need (IN) is dynamic and hard to be captured, QT currently adopted still can not explain some more complex cognitive phenomena. In this paper, a user experiment is conducted to investigate the variance of relevance judgement, and its results demonstrate that quantum Weak Measurement (WM) is more appropriate than the standard quantum measurement to model relevance judgement. Further, a WM-based session search model (WSM) is presented to model user’s dynamic evolving IN. The extensive experiments are tested on the session track of TREC 2013 & 2014 and verify the effectiveness of WSM. This work is funded in part by the Key Project of Tianjin Natural Science Foundation (15JCZDJC31100), the Alibaba Innovation Research Foundation 2017, the Major Project of Chinese National Social Science Fund (14ZDB153), MSCA-ITN-ETN - European Training Networks Project (QUARTZ), National Natural Science Foundation of China (Key Program, U1636203) and National Natural Science Foundation of China (U1736103).